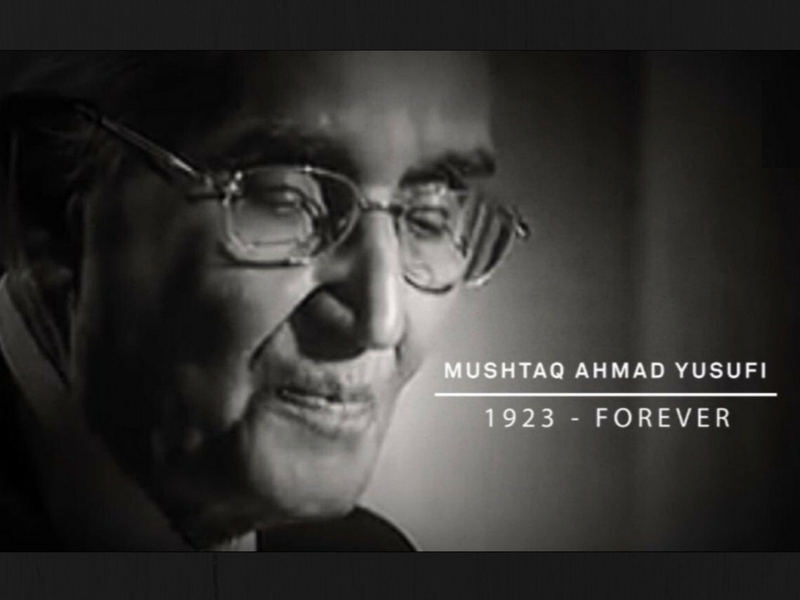 Pakistan expats in the Kingdom condoled the death of the Pakistani satire writer Mushtaq Ahmad Yousufi who passed away recently at a special condolence meeting held in Riyadh on Friday. 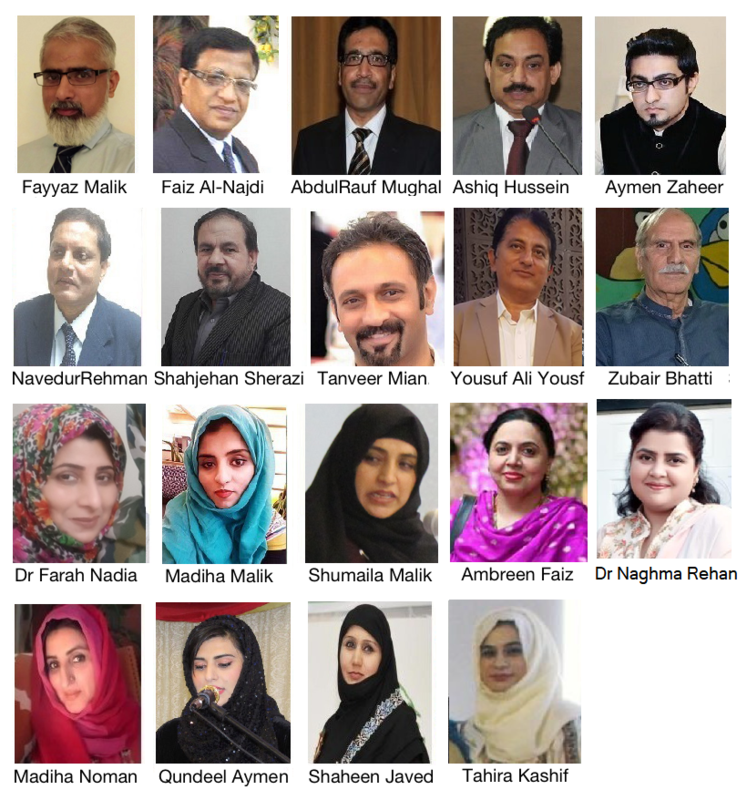 The event was organized by the Pakistan Writers Cub (aka: PWC) and members of its Ladies Chapter (aka: PWC-LC) in Riyadh to appreciate the services rendered by Yousufi during his lifetime in Pakistan. In his opening remarks, PWC President Prof. Fayyaz Malik recalled that Yousufi was one of the last scions in the line of great Urdu humorists like Ibn-e-Insha, Shafiq-ur-Rehman and Patras Bukhari. “He authored five books, which explained Yousufi as a perfectionist, as he kept only the best of all his work to be seen in public, “Malik added. Patron-in-Chief Faiz Al-Najdi said that it was hard to describe as to what he actually was. “For many, he was a humorist, a satire and humor writer. To others ,he was also an accomplished banker. To me he was a legend who taught us how to live a life enjoying every moment of it,” Najdi noted. Describing Yousufi as a great writer, Advisor to the President Abdul Rauf Mughal said that he would be remembered long as he has left us a comprehensive literary legacy. Ashiq Hussein spoke very high of Yousufi and mentioned that there will be a vacuum in Urdu literature because of his absence . Aymen Zaheer mentioned Yousufi stood tall among the contemporary Urdu prose writers. “His pen was at home in a satire and humorist in his unique style. His death is not just a loss of a person but for one of the most popular pillars of Urdu language, “Aymen added. Naveed Ur Rehman expressed that Urdu literature became more accessible through Yousufi. “People who were not into Urdu language became part of it. He gave Urdu language a new face,” Naveed mentioned. Shahjehan Sherazi expressed appreciation for his writings and mentioned that he was a source of inspiration for many. Yousuf Ali Yousuf expressed his deep sorrow over Yousufi’s death. “With his sad passing away, a golden era of satire and humor came to an end, “Ali noted. Zubair Bhatti paid rich tributes to Yousufi for his extraordinary Urdu literature and mentioned he was arguably one of the leading humorist and satirist. Members of PWC Ladies Chapter also offered their sympathies to bereaved family upon the demise of Yousufi. Convener of Ladies Chapter Dr. Farah Nadia acclaimed that many readers have memorized not just his one-liners but entire essays as well. “He wrote even at the age of 90. Whatever he wrote was of great quality, “Farah remarked. Adviser to Convener Madiha Malik recalled that Yousufi very aptly depicted the cultural outlook of life in his specific style and won the hearts of his readers. Deputy Convener Shumaila Malik expressed that it was hard to believe that Yousufi was no more. “His satire and humor has made him immortal, “Shumaila added. Ambreen Faiz said that his writing style always enchanted the readers. “His writings were not only set of words in fact, each line and each paragraph had deep meanings and humor hidden in the stanzas,” Ambreen mentioned. Dr. Naghma Rehan remarked that Yousufi enjoyed a position of an epitome among the ranks and files of humor and satire writers. “The subtlety of his satire fastened with chaste Urdu idioms was the hallmark of his writings, “Naghma added. Madiha Noman highlighted that Urdu literature became more popular read via the courtesy of Yousufi. “People who were not into Urdu literature became part of it – all credits to his satire, humor and wit. His writings will always remain with us for generations to come, “Madiha expressed.